The leaders in the supply of fat-and-oil products from Ukraine are three large companies: Kernel, Cargrill and Creative. These giants ensured the export of 50% of the total volume of supplies abroad. 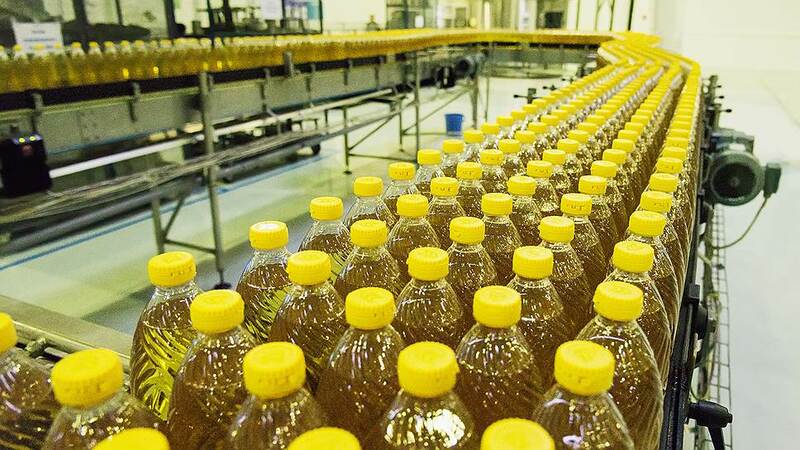 As of August 2013, Ukraine produced 3.5 tons of sunflower oil, 87% of which for export. Thus, our country remained the leader in sales of this product. More than 45% of sunflower oil in the world is Ukrainian. In 2013, the industry generated a profit of $ 4 billion. The undisputed leader in the volume of supplies was Kernel. It is this company that has processed and exported 760 thousand tons of products abroad. Another discovery of 2012-2013 was the holding “Creative”, owned by Stanislav Berezkin. In this season, the company produced and sold 12.5% ​​of all supplies, which is 4 times more than in the previous one. The reason for the rapid rise was the introduction in 2012 of an oil extraction plant capable of processing 620,000 tons of products during the year. In 2012, over $ 160 million was spent to build and commission these facilities. Transnational company Cargrill closes the top three. Its share in the Ukrainian and world market of production and sales remained at the level of 12%. 2013-2014 promise to be difficult for producers, because prices for sunflower have declined significantly. In past years, the cost of seeds was estimated at 4000 UAH / t, in the next season analysts forecast a drop to 2800 UAH / t.
The price conjuncture in the foreign market also promises to be difficult: the production of fat and oil products in the world will reach 15.37 million tons. That is by 10-12% more than in the previous year. The forecast of the holding “Ukroliyaprom” for 2017-2018 is as follows: Ukraine will produce about 4 million tons of oil, 85% of which will be exported abroad. These figures show the undeniable growth of the domestic economy and the industry as a whole. Analysts believe that in the next few years the volume of exported products will increase by another 10-12% due to an increase in yields.